Due to the current LOAD-SHEDDING our reply might be delayed, but all orders will be sent on time. Please be a little patient for your tracking number. Please call our office: 018 384 2816 OR Email: info@buyhcg.co.za to receive your FREE Diet Manuals and Welcome Pack. Are you ready to start on the HCG Diet Program and finally shed those excess kilograms as you begin your journey to better health and wellness? The HCG Diet protocol has been studied in depth since the 1950's, and has cured thousands, now it's available to you here in South Africa. This is the most effective way to lose weight and keep it off. Four weeks after completing the protocol your metabolism is reset and the body can function properly. Our HCG Diet Injection Kits and oral drops include everything needed to successfully complete the program. We offer telephone and online support to ensure your every question or concern is answered. We offer fast delivery nationwide and outstanding customer service to support you as you work to acheive your weight loss goal. If you have found that other weightloss plans have failed you, the HCG Diet will certainly help. Our kits are based on Dr. Simeon’s original research resulting in weight loss results averaging as much as 0.5 to 1 kilogram per day. The HCG injection and drops program has been highly effective at contributing to the successful weight loss of all of our clients. We have thousands of satisfied patients who have enjoyed complete success using our program. The hCG diet has helped millions to lose weight and engage in healthier lifestyles. By taking the first step and making the choice to return to a more invigorating lifestyle you are on your way! If you talk to someone who has completed the HCG diet, you’ll probably find out that its impossible to not loose weight. People who have struggled with weight loss for years, even decades, have found that they were finally able to shed unwanted kilos through the HCG diet protocol. HCG is helping people all over the world to lose hard to shift weight from problem areas, like the stomach, hips and thighs. HCG aids in “mobilising” abnormal fat, making it available for use by the body as fuel. HCG is not a drug but a synthetic protein derivative used during the protocol to achieve accelerated fat loss. HCG resets your metabolism at a specific center of the brain to break down fat at an average rate of one kilogram per day while preserving muscle tissue. HCG as been found to be the quickest way to lose weight without sacrificing your health and metabolism. Many people lose 0.5 to 1 Kilogram every day and sometimes more. Imagine a month from now weighing 20 kg less! 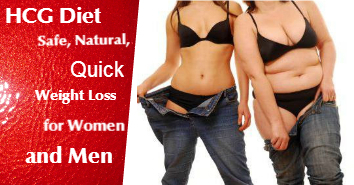 With the HCG diet plan, weight loss is practically instantaneous. The dieter notes half to a Kilogram of weight loss every day, and this amount of weight loss is definitely safe for the dieter thanks to the daily intake of HCG. Weight loss continues at a steady pace and dieters are pleased to see the unwanted weight finally being shed on a daily basis. Dieters drop kilograms and those Kilograms do not return even long after the HCG dieting is over. The maintenance stage of the diet ensures that the dieter can keep full control over their weight for long af. With the use of HCG and following the specific diet protocol, you can start burning abnormal fat immediately while leaving the structural fat and fat reserves in place to keep the body healthy. Reports show an average loss of 0.5 to 1 KG's per day. Along with the decrease in kilos, you will see inches melt away and those abnormal fat deposits will begin to disappear. Clients have had an improvement in complexion, a drop in high blood pressure, and a reduction in wrinkles. stored fat. HCG triggers the body to break down fat cells, and put in into the blood stream to be burned off as energy. This process puts anywhere from 1800 to 4000 calories in your system per day. This allows the dieter to utilize a low calorie diet while still maintaining your strength and energy levels. HCG does this by stimulating the hypothalamus to produce chemicals that release stores of fat into the bloodstream to be burned as energy. During this process, nutrients that are normally stored in fat are also released into the bloodstream, helping to provide sustenance to the dieter. HCG causes the release of fat stores into the bloodstream, and this is where the kilos are burned and the results are seen on a daily basis. and then tested for purity and safety. and we genuinely wish to help in creating a healthier world, and exied to have an active role doing so. Our clients are losing an average of 10 to 14 kilos evey month with our support. If you had success with our HCG products, please share your testimony and we will show our appreciation by sending you a free full kit, basic kit or oral kit.